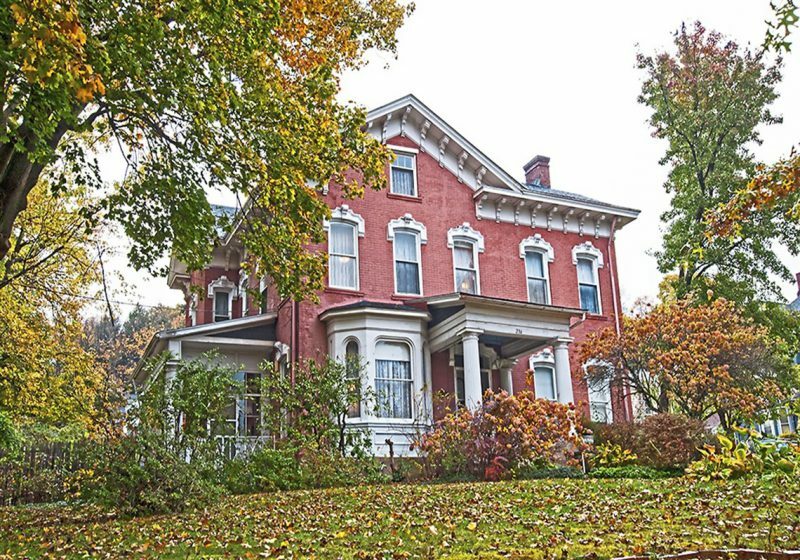 When Suzanne Hulton bought this Italianate-style Victorian 22 years ago, the decorator knew it would be the perfect showcase for her style. Built in 1879, the five-bedroom, 2½-bath house in Butler had been only slightly altered from the time it was built. Mrs. Hulton and her late husband William proceeded to fill 236 E. Pearl St. with the Victorian wallcoverings, paint colors and antiques that they both loved. Now, she has decided to downsize and has listed the property for sale for $265,900 (MLS No. 1318993) with Charles Schmitzer III of Howard Hanna Real Estate Services (www.howardhanna.com or 724-282-7903 ext. 215). It is open by appointment. The red-brick home on a corner lot features its original window hoods, corbels and other trim. A hitching post is a reminder that once upon a time, horses and buggies pulled up to this home. Even the landscaping is old.